Steve Leopold was born in 1944 in Milwaukee, Wisconsin. After graduating from Stanford University, he entered Infantry Officer Candidate School on June 30, 1966, and was commissioned a 2d Lt of Infantry in the U.S. Army on May 15, 1967. Lt Leopold next completed basic airborne training and then Special Forces Officers training at Fort Bragg, North Carolina, from May to September 1967, followed by service as Executive Officer and then Commanding Officer of Detachment A-55 with Company E, 7th Special Forces Group at Fort Bragg from September to December 1967. 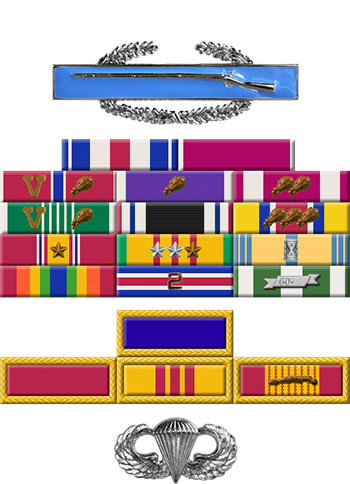 He served as Logistics Officer of Detachment C-5 with Company E, 7th Special Forces Group at Fort Bragg from December 1967 to February 1968, and then as Executive Officer of Detachment A-57 with Company E, 7th Special Forces Group during February 1968. His next assignment was as a Civil Affairs/Psychological Officer with A-244 of Company B, 5th Special Forces Group in South Vietnam from April 1968 until he was captured and taken as a Prisoner of War on May 9, 1968. After spending 1,762 days in captivity, Capt Leopold was released during Operation Homecoming on March 5, 1973. He was briefly hospitalized to recover from his injuries at Fitzsimons Army Medical Center in Aurora, Colorado, and then left active duty and joined the Army Reserve on July 28, 1973. 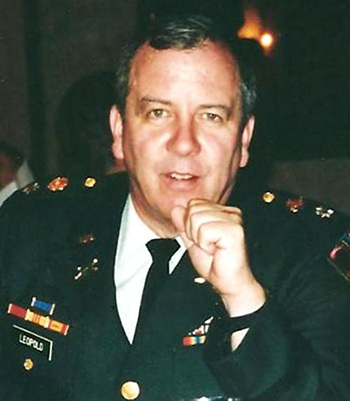 While in the reserves, Col Leopold served with 12th Special Forces Group at Arlington Heights, Illinois, and as a Battalion Commander and Brigade Commander with the 85th Division at Arlington Heights and with the 4th Brigade of the 85th Division at Fort Sheridan, Illinois, until his retirement from the Army Reserve on October 2, 1997. Captain Stephen R. Leopold, Infantry, distinguished himself by heroism as a Prisoner of War while engaged in operations against an opposing armed force in North Vietnam on 16 March 1973 in the position of Assistant Unit Historian. He compiled a remarkably complete list of names, dates, and events which he cunningly smuggled from Hanoi Hilton prison camp. Even though there was a great risk of being caught and punished, and possibly not being released, he concealed papers on his person and successfully evaded detection of these documents in searches by North Vietnamese guards just prior to release as a prisoner of war. His loyalty, diligence and devotion to duty were in keeping with the highest traditions of the military service and reflect great credit upon himself and the United States Army.